What is going on in the entrepreneurial world in Mauritius and other African countries? Entrepreneurship plays a key role in the economic fabric of a country. As such, Mauritius and African countries in general should focus on the development of this sector and encourage the growth of startups. Various statistics regarding entrepreneurship engagement in African countries show a positive response in terms of business launching and self-employment. For instance, 35.5% of the population in Uganda is made up of nascent entrepreneurs or business owners. 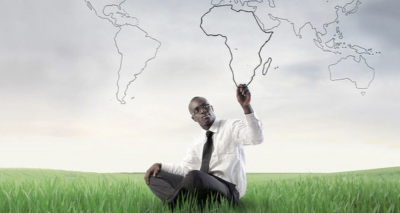 47% of entrepreneurs in Africa have plans to grow their workforce. This figure contrasts with the 29% of larger companies who aspire to do so. Despite low job creation expectation rates, African countries still have a good momentum on the entrepreneurial scene. On the other hand, Mauritius is lagging behind. While several successful entrepreneurs are rising out of the crowd, they represent only a tiny portion of the country’s workforce. This is due to the current ecosystem of the country which is more focused on creating workers than leaders. Despite various organisations that focus on facilitating the launch of startups, Mauritius is lacking in many aspects. For instance, there are no venture capitalists or big shot investors interested in sponsoring young entrepreneurs. With this lack of support, many potential business owners shy away from the entrepreneurial path. Business incubators are helpful, but many do not know about them. The current state of affairs shows that the entrepreneurial scene in Mauritius is divided into three categories. These define the reasons that drive people to open their business and highlight the factors that impact on their decision. The most common way through which people become entrepreneurs in Mauritius is by inheriting a business. For example, let us take a family that has owned a shop for decades. The children of this family will easily slide into entrepreneurship since they have known this profession all their lives. They already have the necessary contacts and access to the market which makes the business run. They are also accustomed to the lifestyle of being one’s own boss and would not want to switch to a 9-5 office job. Thus, they will take on the family shop and continue the work of their parents as entrepreneurs. They will not fail, but they may also not know the booming success that a well-driven start-up may have. The second category of people who launch a business in Mauritius involves those who do so out of necessity. Many have to start earning money on their own after losing their job, losing their breadwinner or due to unemployment. These entrepreneurs often launch small-scale businesses due to a lack of investment capital. They may also lack the necessary education, skills and experience needed to succeed as entrepreneurs. Social expectations like owning a car and a house and getting married are heavily spread on the shoulders of young Mauritian workers. These end up squashing their dreams of business ownership and makes them comprise with a life of labour and loan repayment. The flourishing of this entrepreneurial sector will also be beneficial to the economic growth of Mauritius. To increase the flow of entrepreneurs, the ecosystem displayed above should be modified to accommodate creativity and entrepreneurship. Out of the comfort zone does not necessarily mean worse than the comfort zone. We should therefore work towards steadily increasing the number of entrepreneurs so that Mauritius can bloom into a successful example of entrepreneurial prowess. https://turbine.mu/wp-content/uploads/2019/02/entrepreneurial-world-mauritius-africa-e1552924151500.jpg 213 400 Turbine Team /wp-content/uploads/2018/10/logo-turbine-50.png Turbine Team2019-03-18 19:54:142019-03-18 19:54:14What is going on in the entrepreneurial world in Mauritius and other African countries? Why should you start your business at a young age? How are incubators changing the start-up scenes around the world?